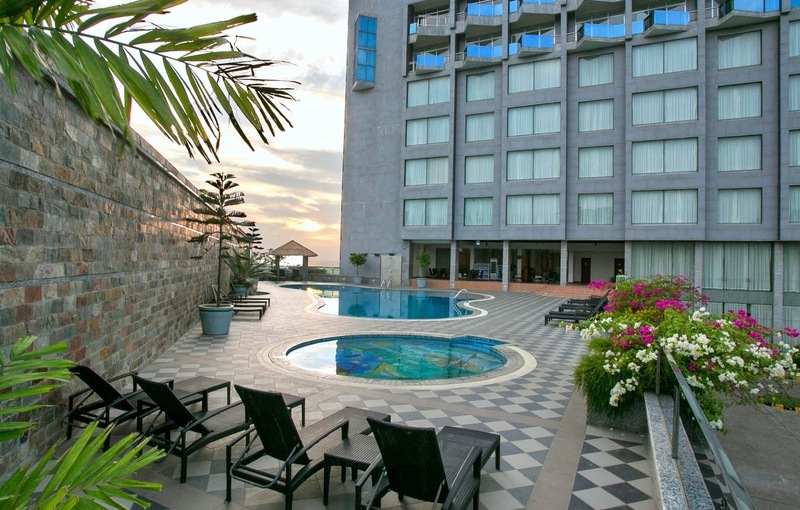 One of the best hotels in cox's bazar is the ocean paradise hotel built on two acres of land on the west of Cox's Bazar in the kolatoli beach. There have In a proper clean and cool environment. The noise around the hotel but inside the hotel, you get pinpoint silence. But listen to the cry of the waves and the fury of Shan Shan tune of Zauban. Sea-city Cox's Bazar can come from any corner of the country. On the left side of the central bus terminal, If you move forward, you will see a sculpture. Cutting the sculpture towards the north, the car is moving towards the Hotel-Motel zone. It will be seen in the palace as well as the ocean paradise hotel. If you wish, you can enter the big car effortlessly, in the hotel parking area. It has the opportunity to accommodate small and large at least two hundred automobiles. The hotel has a full-time security guard. Who will help you get in? The main gate of the hotel building opens the doors of the mirror, stepping inside, the one-sided calmness of the moment will lend your whole body. Now it's time to be surprised. You will be welcomed by a Duty Officer or Public Relations Officer (PRO). Beautiful girl will come with a variety of hotel-made welcome drinks. Without finished the welcome drink, the arrangement is done to reach the room quickly for your rest with your permission. The free environment around the lobby will make the city's time to forget and it will feel different. The four sophisticated lips are quickly reaching the destination. If you walk into the bedroom or remove the window screen or stand in the verandah, you will see the wave in the sand. It will feel like the waves are trying to touch your feet! Sea View and the Hill View Room to provide for accommodation. what rooms are better for you, it depends on your financial condition. You cannot be seduced by the third floor, you can. Brick-stones will find old merchant ships in the hotel! You can soak up the necklace in 'Nottika Theme Bar' by watching Zauban's Shaan Shan tune and wave of wine and the favorite Alcohol. Just five minutes walk in the afternoon, you can go to the sea. In the evening, after entering the hotel, the singing tunes will play on the tune of the songs of the time. Sitting on the arranged chair of the kolatali cafe, it would be great to sip teacups. You do not want to sit in the lobby? You can go to the hotel roof using the lift. You can see the sunny sun sinking in the sea. Here are the Sky Bar restaurants to offer the guests. Sit by the shade of the sky in the cold shade and take a taste of barbecues and various taste delicious food. On the rooftop of the hotel, you will see a rounded helipad. If you do not want to go on the ground, you can fly a helicopter to the sky on the helipad. Live music is played in the night garden under the sky to fill your vacation with joy. Every evening on Thursday night, the cultural evening and the DJ party, with the designated with popular artists are organized. You can also be included in the exchange of fixed money. 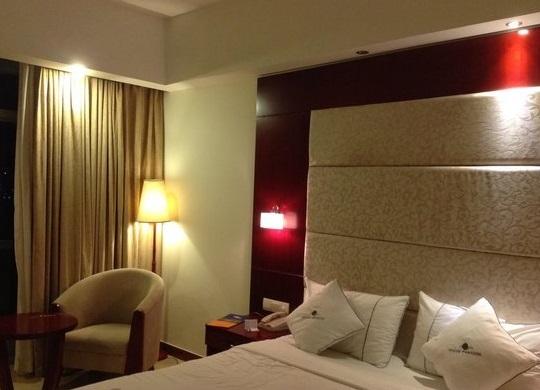 room and suite: there are so many types of room and suite have an ocean paradise hotel. Sea view lounge and sleeping room, jacuzzi in the bathroom. excellent for relaxation after every day long conference. Done up in bright red, this suite is that the most romantic alcove within the hotel. The ocean is visible from the bed, 2 steps away is that the bathtub. Nothing better than a candlelit evening, rose petals and a bottle of champagne to celebrate your wedding. See more about room and suites and tariff for ocean paradise hotel. 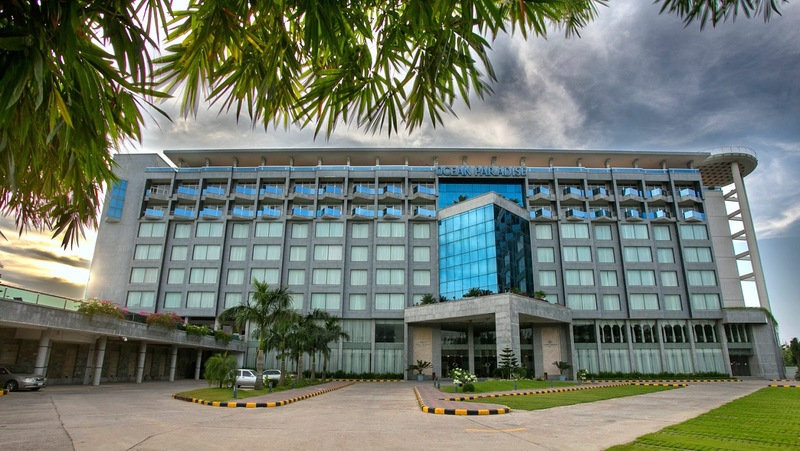 The multi-cuisine buffet restaurant offers patrons a satisfying alternative of Bengali, Indian, Thai and Continental delicacies that are a gourmet's delight. A Conjure of Ocean & Mountain views rooftop restaurant it's an idyllic setting with the Garden on one side and a bird's eye view of the Ocean on the opposite. it's a fusion Barbeque restaurant serving ancient delicacies. cook has ensured that vegetarians too have their alternative of grilled delicacies. 24 hours cozy coffee bar, it's a suitable place to fulfill and dine with the occasional traveler. It offers fast efficient service with all day delicious cakes, pastries, and savories. When you go out, you're looking to relax, have a good time and relax. At Pirates Den, it's about you and your expertise. 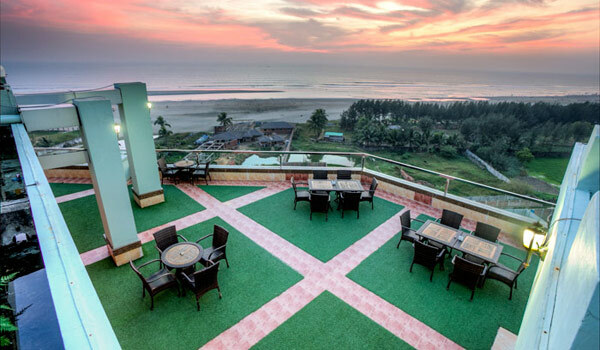 it's the only Bar in Cox's Bazar with such an open-air view of the ocean, also as some tables in its open-air terrace. The only ocean views Banquet Hall in Cox's Bazar. Equipped with a green room, DJ station, soundproof walls and pantry, this distinctive dance hall will house any kind of event from fashion shows, DJ parties, strike dinners, cocktails and conferences to social events and weddings. The most awful venue for an open-air concert, live band show, barbeque, or maybe a marriage, this terrace joins the 2 wings of the hotel. With a surprising view of the beach, you're feeling as if you're floating on the ocean. Other facilities: swimming pool, gymnasium, spa, sauna and helipad. The opportunity to travel to Cox's Bazar in NovoAir by paying a monthly installment.